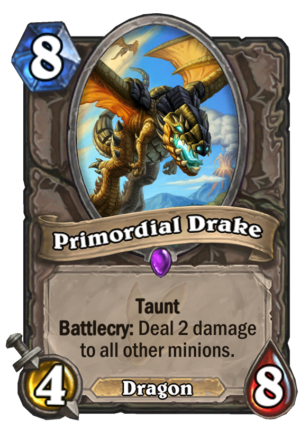 Primordial Drake is a 8 Mana Cost Epic Neutral Minion Dragon card from the Journey to Un'Goro set! Taunt Battlecry: Deal 2 damage to all other minions. Rating: 4.1/5. From 664 votes. 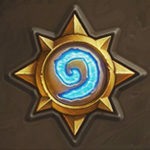 Makes curator more playable for sure. I’m glad we still have a new dragon! Menagerie Paladin is going to be insane! So glad my main finally gets a much needed boost!